ASK: Why does the hospital want to put eye ointment on my newborn? Is it necessary? ASK: What is the Vitamin K shot for? Are there alternatives and is it necessary for my newborn? ASK: Why are there soft spots on my baby’s head? ASK: Should I be alarmed that my baby is going into the NICU? ASK: What is the infant microbiome? Why should i care? ASK: Where can i find more info on the infant microbiome? ASK: What is the human microbiome? 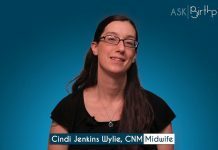 ASK: What does the microbiome have to do with my baby’s birth?